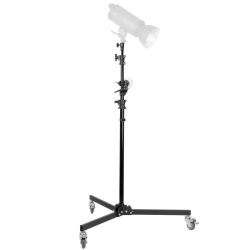 The walimex pro Wheeled Boom Stand with Counterweight is indispensable for many professional applications in film and photo business. 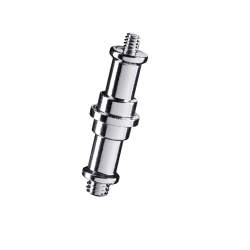 From bottom to top, this item stands out through its quality and professionalism. The Tripod has three high-quality solid rubber wheels, each equipped with brakes. 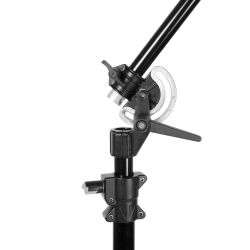 Therewith, you can secure the Boom Stand quickly and easily against unintended rolling. The sturdy frame as well as the Boom consist of extremely sturdy metal and die-casting, which provides additional stability and long-life. The height of the Stand can be adjusted from approx. 130cm to 410cm. Therewith you are very flexible, not only concerning the height, but also regarding the realization of your light effects. 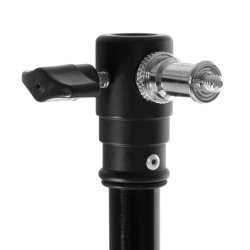 The Boom Arm, the core of this walimex pro item, is mounted on a convenient mounting, which allows you to adjust the tilting and rotation on a smooth and flexible way. 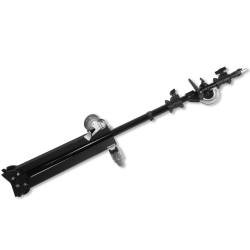 Certainly, the locking lever provides the necessary solidness and security, which is needed for the 285cm long extension arm. The Boom is on the one side equipped with a turnable 5/8 inch spigot, on which you can mount flash heads, daylights and Co. The other end is equipped with a hook for additional weights, e.g. the approx. 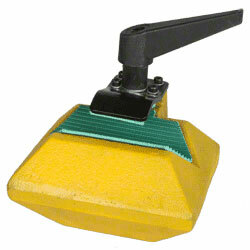 4,4kg heavy, movable counterweight. 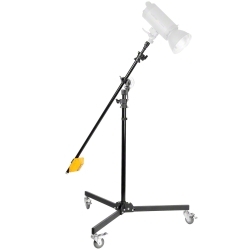 The item can be wonderfully used as lamp tripod in your studio without boom.